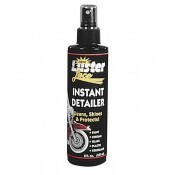 Luster Lace Instant Detailer 8FL OZ Bottle. 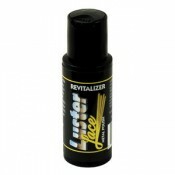 Luster Lace Instant Detailer 8FL oz Bottle. Just Spray, Wipe and Shine! Use between washing to ..
Luster Lace Detailer Spray Wipe & Shine 22 FL OZ Bottle. Just Spray, Wipe and Shine! 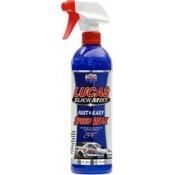 Use between..
Lucas Slick Mist Speed Wax 8 Oz. Bottle. 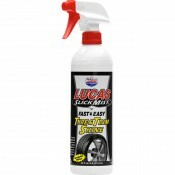 Lucas Slick Mist Speed Wax Is Fast And Easy To Use, Just Wash Your Vehicle, Shake The Bottle, And Ap..
Lucas Slick Mist Speed Wax 24 Oz. Bottle. 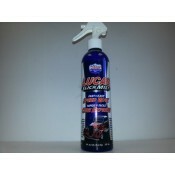 Lucas Oil Slick Mist Tire And Trim Shiner 24 Oz. Bottle. 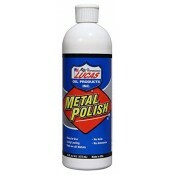 Lucas Oil Slick Mist 24 Oz Fast & Easy Tire And Trim Shiner Is An Environment Friendly Tire Shin..
Lucas Metal Polishing 16 Oz Bottle Is Easy To Use With Long Lasting Affects That's Safe On All Metal..
Lucas Contact Cleaner is the official oil of team TLD.With our unique blend of solvents, cleaning ag..
A heavy-duty economical industrial anti-seize lubricant that contains finely divided metallic partic.. 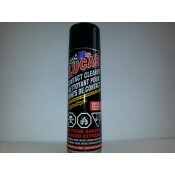 TRANSMISSION OIL CHANGE KIT Lucas Oil, Synthetic V-Twin Gear Oil, 75W-140 SAE, 32 FL Oz. 25-5000KEY ..
PRIMARY CHAIN OIL CHANGE KIT TWIN CAM 06-LATER 25-6001KEY BENEFITSCool & QuietsDesigned fo..
PRIMARY OIL CHANGE KIT TWIN CAMKEY BENEFITSCool & QuietsDesigned for heavy duty high performance..
PRIMARY CHAIN OIL CHANGE KIT 25-6002KEY BENEFITSCool & QuietsDesigned for heavy duty high ..
Luster Lace Metal Polish Revitalizer 2FL OZ Bottle. 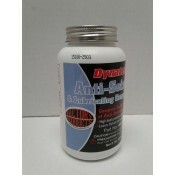 If your Luster Lace Polishing Strips Or Super Pa.. FACTORY PRODUCTS CLEAN RIDE WASH & DECREASER 1 LITRE READY TO USE NO MIXING FAST..
ENGINE OIL CHANGE KIT SYNTHETIC 20W50 25-3003 2000- LATER FLST FXST DYNAKEY BENEFITSLower oil ..